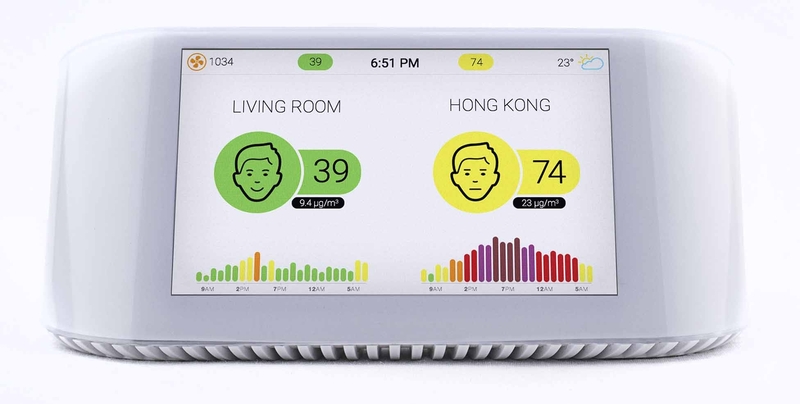 The new low-cost, highly accurate air quality monitor for homes, office, schools and other public spaces. Introductory price $449 incl gst and delivery. 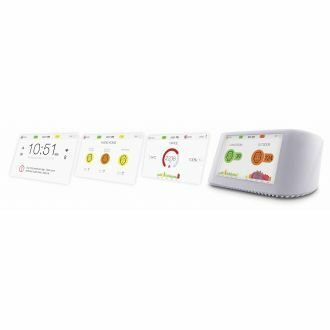 The AirVisual Pro is a desktop air quality monitor that provides real-time measurements of particulate pollution (PM2.5), CO2, humidity and temperature and displays the data on an easy-to-read color display. 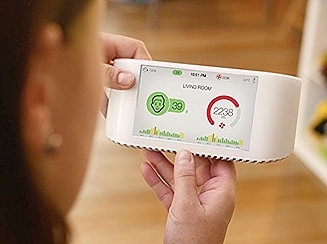 The instrument also allows comparison of indoor air quality with outdoor air quality measured by the nearest public air quality measuring station. The history of air quality data collected by the AirVisual Pro is available for download on Windows PCs, Macs and Linux computers. Thus the data can even be imported (e.g., into an Excel spreadsheet) for analysis and archiving. IQAir acquired the AirVisual technology to raise awareness of indoor and outdoor air quality around the world. 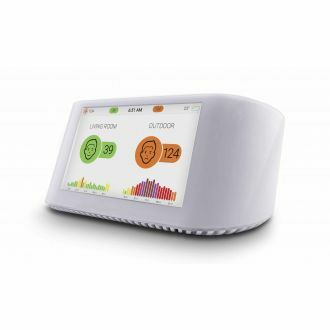 It combines cutting-edge laser technology, airflow control, and a crafted calibration algorithm to achieve the most accurate data available on a consumer air quality monitor. 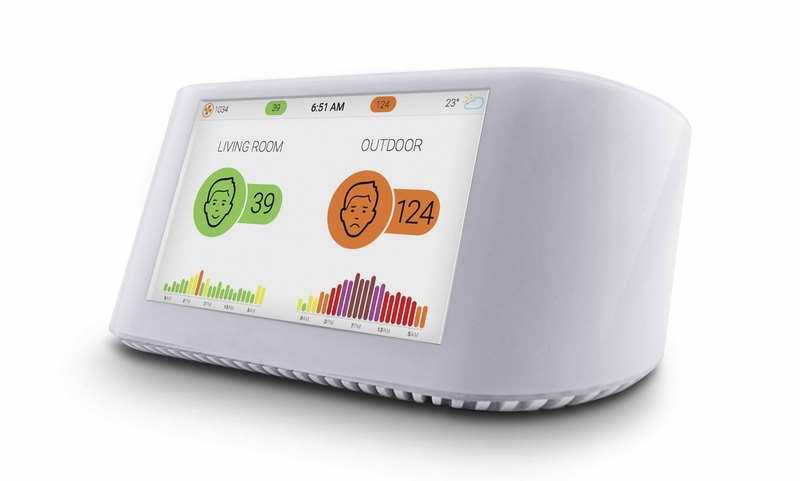 The monitor’s large 5" colour LCD screen simultaneously displays real-time indoor and local outdoor air quality. 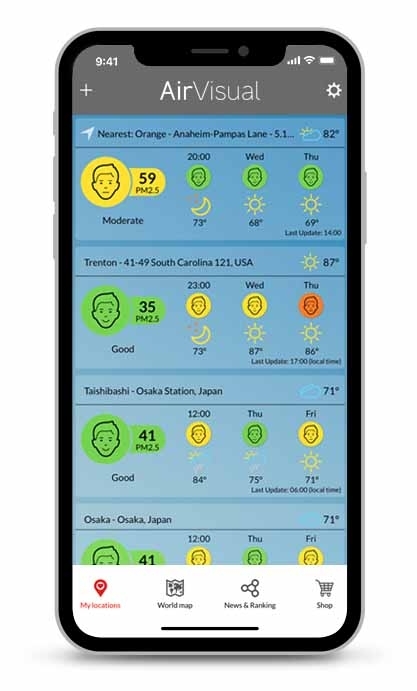 In addition, it offers three-day outdoor air quality forecasts and provides tailored recommendations to optimize air quality and minimize air pollution exposure. 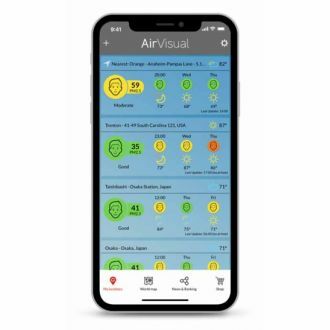 The AirVisual Pro monitors PM2.5, CO2, temperature and humidity both indoors and outdoors and displays the data both on the monitor and on the AirVisual app and website. The related AirVisual App is a free smartphone application (both for Android & Apple iOS). 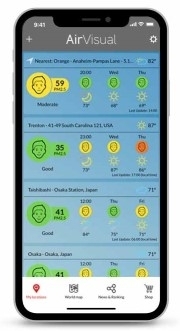 The app allows the smartphone to access real-time air quality information from more than 9,000 air quality monitoring stations around the world. Of course, the app also provides the user with data from his AirVisual Pro monitors installed at home or in the office and which are wirelessly connected to the internet. The AirVisual App already has more than half a million users and is the most popular international air quality app. Take your AirVisual Pro with you and monitor invisible threats anytime, anywhere. What’s entering your lungs right now? The AirVisual Pro is purposely designed to be as lightweight and easy to carry as possible so you can always have it with you. It is the most affordable, portable and accurate air quality monitoring device ever created. 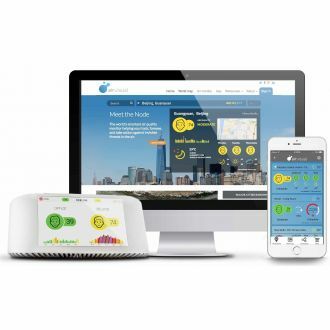 The AirVisual Pro empowers you to conveniently monitor the air you breathe anywhere, anytime. Now you can discover your local air pollution sources. Your AirVisual Pro allows you to see your Indoor Air Quality alongside the nearest official monitoring station. Use this information to help pinpoint pollution sources. Get the data you need to make informed decisions to better protect you health. 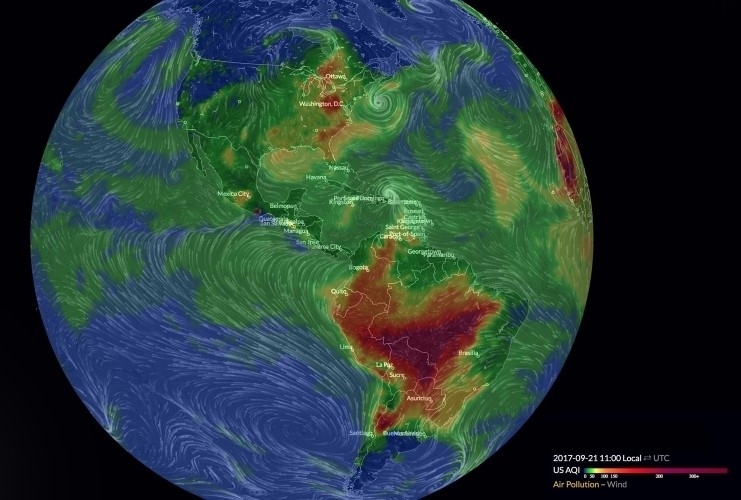 Air Visual Earth is the first ever 3D air pollution map. Watch the mesmerising interface as pollutant interact with weather patterns. Air Visual Earth is a truly groundbrekaing endeavour. It is generated from satellite images and data from 10 thousand outsdoor air pollution monitoring stations. 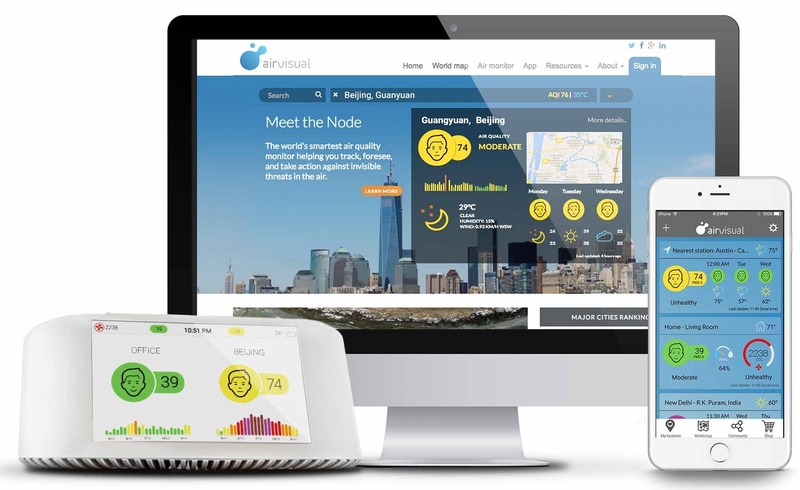 Spin the globe, zoom in and out, track the air quality. Air Visual Earth is technology for a better world. AirVisual Pro offers data from more than 10,000 locations around the world and this is growing fast. Become a contributor. It's easy - simply register your AVP as a designated public outdoor station. 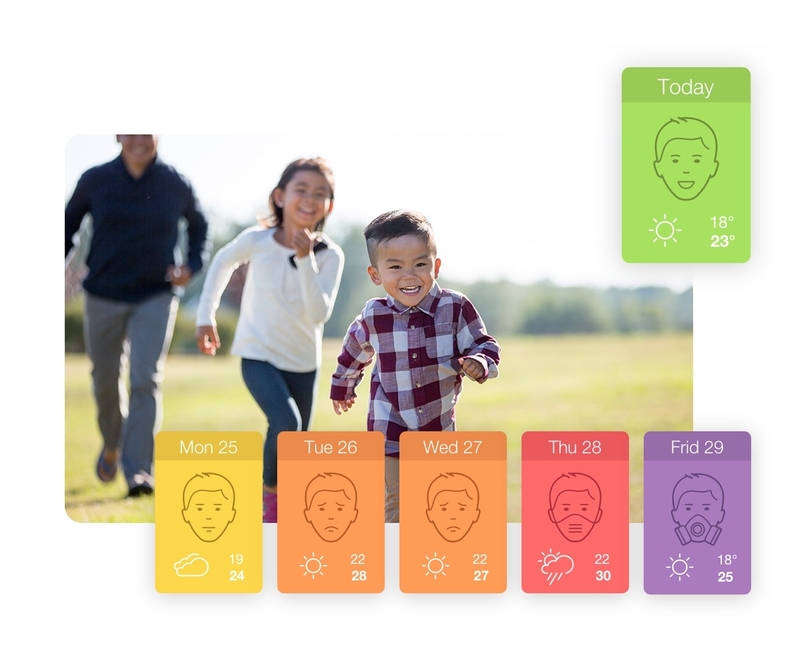 Use 'If This - Then That' (IFTTT) applets with your AirVisual Pro monitoring stations to get live alerts and program automatic conditional responses when your air quality changes. AirVisual IFTTT applets work with other smart home actions and technology. PM2.5 too high? Your AirVisual Pro will trigger your room air purifier or smart thermostat to clean your space and clear out indoor pollutants. Want to keep track of every time your IAQ becomes unhealthy? Your AirVisual Pro will record high PM2.5 levels in a spreadsheet for later use. Create your own IFTTT to help make your home the perfect clean air sanctuary. Go to ifttt.com/IQAir to see all applets available for your AirVisual Pro, or create your own so that indoor conditions are always just right. And come back often: new IQAir IFTTT applets are regularly added.